RALEIGH (June 28, 2017) – Today the NC General Assembly overrode Gov. Roy Cooper’s veto of the 2017-19 state budget that legislators approved last week. To be sure, there are things to like in the budget. We also like some of the tax cuts – an increase in the standard deduction, for example, will help those struggling near the bottom of the income scale. At a time when North Carolina still hasn’t recovered to pre-recession levels of spending per student in K-12 or our public universities3 – when our average teacher pay ranks 35th and our expenditure per K-12 student still ranks 43rd in the nation4 – the magnitude of those reductions keeps North Carolina from being what it could be. It’s too bad Gov. Cooper didn’t have latitude to veto just the second year. 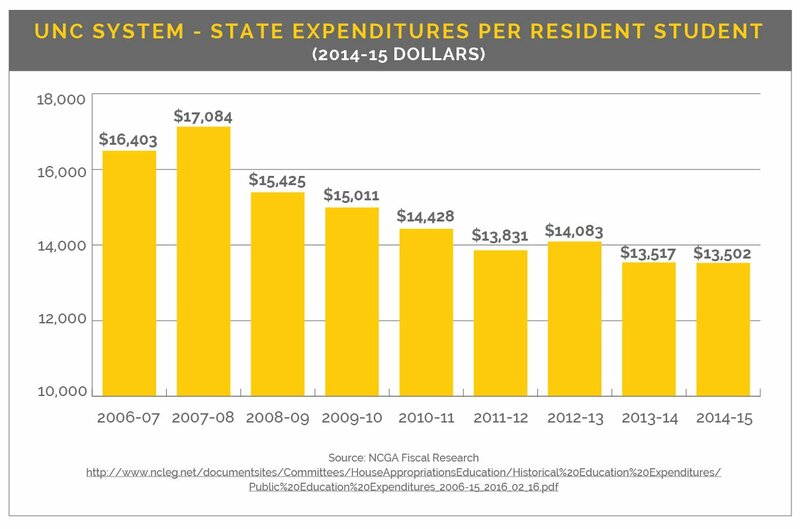 2 General Fund Availability Statement, http://ncleg.net/Sessions/2017/Budget/2017/conference_committee_report_2017_06_19.pdf. 4 http://www.nea.org/assets/docs/2017_Rankings_and_Estimates_Report-FINAL-SECURED.pdf, pp. 109, 121. http://www.wral.com/nc-ranks-35th-in-nation-for-teacher-pay-ranked-41st-last-year/16693105/. A good budget! Can not recover cuts in years past all at once. Tax & spend is what got us in trouble to where cuts had to be made. We lived with the cuts, now keep them. I had to cut back & have not recovered back to where I was. Will take time with small steps- not all at once. 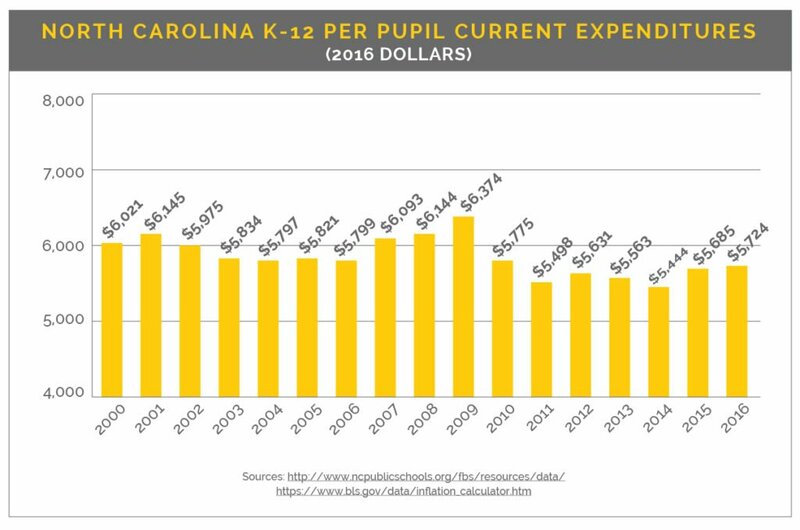 Using the old NC teachers pay average as an excuse to tax and spend more got old a long time ago. I taught for 32 years and it was the same old song and dance sung by every governor throughout my tenure. Increasing the per student expenditure is another excuse to tax more and the result will be the same. Past time to make do with what you have and stop trying to fool the citizenry into thinking spending more on public education will somehow produce some miraculous results. Same for our universities which are bleeding us. They don’t seem to have a problem expanding their campus and building new bell towers. Thank goodness we have at least a legislature willing to exercise some restraint over another governor wanting to drain the bank.